Good read! I’ve just started running a 5th Edition adaptation of I6 Ravenloft, so your experience with T1-4 is certainly relevant to my interests. There are at least three encounters in the original text that would be “Deadly” for 5th level characters (including any encounter with Strahd himself) if I just ran them as straight conversions, so I’ve had to decide which ones to leave as is, and which ones to dial back. There are so many good mods to convert, Ravenloft is high on my list as a one shot. I think those lair abilities might prove interesting. Sorry to drop that hammer on ya. 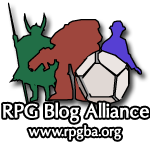 Yeah, we’re aware it’s not going to be Greyhawk, but thats we we’re doing our own conversion. Glad to hear it ! 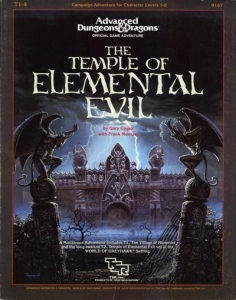 I am running Both the Horde and the Temple of Elemental Evil in my homebrew world because they both fit in my setting well so far. Lucky me ! It would be too much to ask to see Greyhawk support so early on, but a boy can dream.